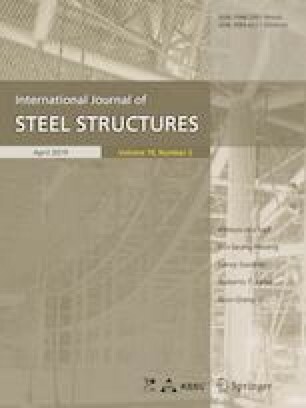 An analytical model to estimate the complete moment-rotation curve of steel beam-to-column endplate connections is presented in this paper. The method is based on the component-based concept and is capable of predicting the behavior of connections considering the influence of beam axial forces and temperature variations. Significant consideration is devoted to the reliable simulation of T-stub component. A recently developed T-stub model, which is based on the thin plate theory, is able to capture the force-deformation response of a T-stub assembly under fire situations. Verification of the analytical model is carried out by comparing with available experimental results of isolated connections in other literatures. The analytical model is also validated against a 3D finite element model, considering different axial load levels at different temperatures. The validation results illustrate the reliability and efficiency of the analytical model in predicting the initial stiffness and ultimate moment resistance of connections. However, the prediction of rotation capacity still needs some improvements, since the simulation of some basic components at elevated temperatures is not quite accurate. Also, some valuable rules are concluded on the behavior of connections subjected to different beam axial loads at different temperatures. The research is supported by the National Natural Science Foundation of China (No. 51678358).